[0:34] <smw_> Hi all. Anyone know where to find the firmware for the rpi3 wifi? [2:42] <redrabbit> "Restrict ssh to non-root user/key only login y/N"
[2:42] <ExeciN> I have put a heatsink on my pi and overclocked it. I'm using a usb powered fan on top of the heatsink to create some airflow around the heatsink. Is there a way to cut power from a usb port? I'd like to add a cron job to start the fan on working hours and stop the fan when I go to sleep. [2:50] <ExeciN> how much current can I draw from gpio? [3:01] <ball> ...but perhaps I'm just overly cautious. [3:02] <ball> ExeciN: Have you looked at relay hats? [3:02] <ball> Oh, is that what he or she is driving? [3:02] <ball> Never mind then. [3:11] <ball> seriously though, can the GPIO pins sink more current than they source? [3:13] <ball> Any general rules of thumb? [3:13] <ball> Rumours? Ancient tales? [3:13] <plugwash> It's not uncommon for digital outputs to be able to sink more than they can source but I dunno if anyone has tested the Pi specifically. [3:14] <ball> If the pin is glowing, that's too much, right? [3:18] <ball> redrabbit: Those are 5V though, right? [3:19] <ball> ...so they'll take a 3V3 logic input? [3:22] <redrabbit> how do you control from from the pi ? [3:23] <redrabbit> the DVB-T dongles right? [3:24] <ball> Ah, if only DVB-T were a thing here. [3:32] <Voop> ali1234: of openelc? [3:34] <ball> Voop: It's understandable, given the different hardware. [3:36] <ali1234> do you have kernel7? [3:41] <ali1234> i think everyone is using libreelec instead these days? [3:43] <ali1234> did you use the right connector? 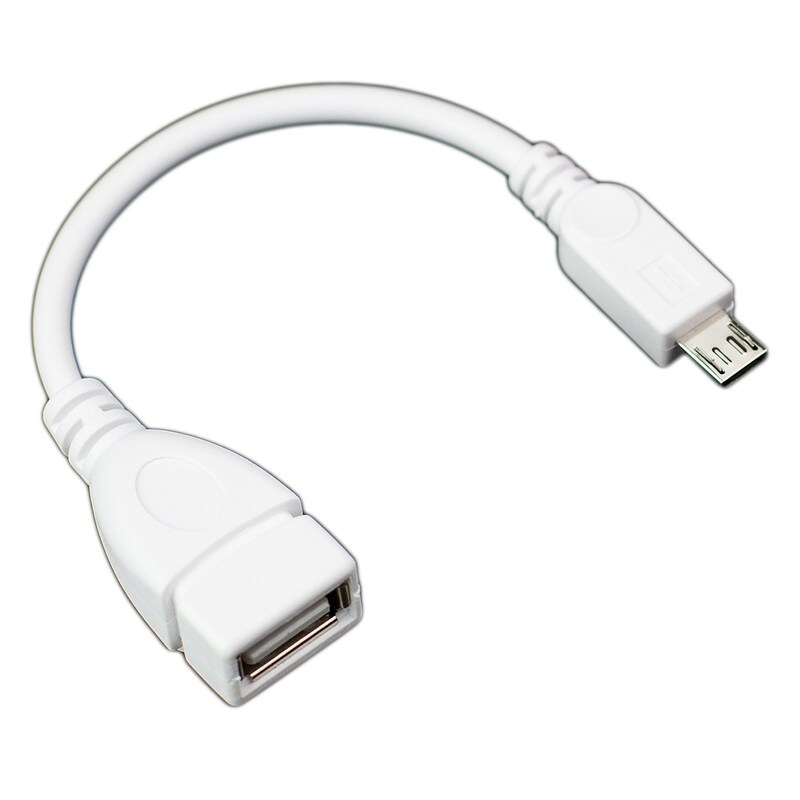 [3:44] <ali1234> what kind of otg adapter are you using? [3:44] <ali1234> an official supplied one? [3:46] * ball wanders off to wash some dishes. [3:50] <ali1234> do you have a linux PC to test something? [3:53] <ali1234> you should see "Bus 001 Device 019: ID 0a5c:2763 Broadcom Corp."
[4:26] <skurys> just curious why overvolt? [4:33] <HrdwrBoB> have you tried a different hdmi cable? [6:26] <genericuser123> How do I restart my x session? will relogging work? [6:38] <metawave> Does pkill x do the same thing? [6:39] <genericuser123> Thanks CojaBo. I'm trying to reload the settings for it, is there an easier way? something like source for terminal sessions, eg source ~/.bashrc? [6:42] <CoJaBo> huh; usually the settings in GUI apply instanyly, when you hit "apply"
[6:43] <metawave> Could the display itself have a sleep mode? [8:02] <ghostboarder> locally. Any hints where to go next? [8:07] <ghostboarder> oh, interesting.....i just got some action.....'OK......Started cleanup of temporary directories"
[8:07] <ghostboarder> so thats literally it? create a file named ssh? [8:08] <ghostboarder> hmm...empty file in windows. ".file" extension? [8:16] <ghostboarder> boom, thanks a ton Sonny_Jim! [9:40] <mfa298> I'd have thought the baud rate is specified by the end program rather than the driver, the driver may impose some limits though. [9:40] <outofsorts> The end program never does any rate limiting, but it might issue an ioctl to the serial device to set the users configured rate. [9:41] <outofsorts> That's not possible with /dev/ttyGS0 though. [9:42] <outofsorts> Testing shows that you get about 11 mbit throughput. I want to be able to demonstrate something as low as 300 cps. [10:54] <gordonDrogon> outofsorts, from what I gather usb serial is sort of faked at the bus level - it will go as fast as the bus. it's only when it hits a real uart that things will then go down to the specied speed. [10:54] <gordonDrogon> so usb gadget to usb host will likely just go as fast as it can actually go. [10:55] <gordonDrogon> so the only way to enforce speed is to stuck 2 uarts back to back in there - e.g. 2 x ftdi cables but that won't use gadget mode on the pi0 end. [10:56] <gordonDrogon> or, you write a little shim, so rather than call putchar() you call myPutchar() which keeps track of the time of each byte and delays between bytes accordingly. not perfect as the bits in the byte will go at full line rate, but overall you'll get the same effect. [10:57] * gordonDrogon re-reads. Yea, 11Mb/ sec - that's explainable as usb1 speeds. [10:59] <outofsorts> gordonDrogon: I'm currently trying to get this working with socat, but it doesn't seem to like limiting throughput either. [10:59] <Habbie> outofsorts, how about pv? [11:01] <outofsorts> Habbie: "pv" from which package ? [11:02] <outofsorts> Habbie: Don't worry ... pv is also the package. [11:07] <outofsorts> Habbie: pv would need to be bidirectional to work with a tty. [11:27] <outofsorts> gordonDrogon: complete with teletype sound effects! [11:28] <outofsorts> gordonDrogon: I think I will just hack in rate limiting into socat. [11:36] <outofsorts> Thanks for everyone's thoughts on the matter. [12:43] <max12345> hello everyone, I have a raspi that wants a login i don't have. I have found some help topics and stackoverflow answers to the topic, but I'm not sure if they're still up to date. [12:44] <Habbie> max12345, what kind of login? [12:46] <nickwebcouk> max12345: is it your raspberry pi? [12:47] <nickwebcouk> max12345: where did you download the operating system from? [12:47] <nickwebcouk> you'll need to ask them for the login details then. [12:48] <nickwebcouk> that isn't hard to reconfigure. Theres lots of tutorials available online. [12:50] <max12345> aaaah how would I erase the password. [12:50] <nickwebcouk> does changing the boot options still work for making a FS R/W? [12:52] <max12345> where is "cmdline.txt"
[12:53] <max12345> uh. I have it mounted and I'm looking at / . [12:55] <max12345> :/ "boot" is empty. No "cmdline.txt"
[13:02] <max12345> thank you all! [14:32] <gordonDrogon> Simonious, are you asking a question, looking for help, making a statement... wondering if I'm missing something here. [14:34] <gordonDrogon> I didn't scroll down that far. I suspect that out of the ~13 million Pi users, maybe you and one other might be using nilfs though. maybe get more help in the nilfs email lists? [14:36] <gordonDrogon> there is an @reboot target in cron to make things run at power-on/reboot times. [14:40] <Simonious> gordonDrogon: Nilfs is supposed to be nice for flash media because it writes new data after existing data and uses the whole memory while the cleaner comes alone behind and erases/reclaims sections that are no longer used because there were altered/rewritten/removed. Is there another filesystem that can be recommeneded for level usage on flash media? [14:42] <gordonDrogon> yea, I looked into it a while back for another (non Pi) project I was doing. in the end I abandoned it and just used ext4 like everyone else. [14:44] <gordonDrogon> I think that modern SD's are good enough - certianly cheap enough now, so somethin like ext3/4 is may not the best solution, it's working well enough to keep the majority of Pi users happy. [14:46] <Simonious> gordonDrogon: that is an interesting point, I believe some of the modern cards have a leveling logic layer built into the cards. [14:46] <shiftplusone> I don't know of filesystem that aims to be flash-friendly, is in the upstream kernel and has the track record and reliability of ext. [14:48] <shiftplusone> I thought all modern cards do wear leveling, but it's hard to know if that's true. I think the argument that convinced me was that given the number of write cycles cards are rated for, if they didn't do wear-leveling, they'd wear out much quicker than they do. [14:55] <shiftplusone> from what version to what version? [14:58] <jancoow> shiftplusone: spaces in the config.txt ? [15:01] <shiftplusone> yes, but why is it in config.txt on the dtoverlay line? [15:01] <gordonDrogon> I just used rpi-config to enable 1-wire. the rest seems to come automatically. [15:02] <shiftplusone> config.txt doesn't enable modules. Some overlays can tell the kernel about the presence of certain hardware which in turn enabled the overlay, but that doesn't appear to be the case here. [15:03] <gordonDrogon> why aren't you mounting /boot then? [15:03] <gordonDrogon> ok - but if it's mounted in /boot, then its just the same, sin't it? [15:04] <gordonDrogon> then export it via nfs and mount it via nfs? [15:05] <gordonDrogon> my weather Pi is offline right now so I can't check what it has exactly in config.txt. [15:05] <gordonDrogon> let me find it and power it up and check..
[15:07] <gordonDrogon> and nothing else w1 related. [15:08] <gordonDrogon> however w1_therm is loaded. [15:08] <gordonDrogon> nothing in /etc/modprobe.d/* either. [15:08] <shiftplusone> ah, interesting. I checked with Phil and he thought that w1-them would need to be loaded manually. [15:09] <shiftplusone> gordonDrogon: but did wiringpi run modprobe itself perhaps? [15:10] <shiftplusone> Ah, Phil isn't sure. That was a guess. [15:10] <shiftplusone> Well, I guess that's all that required if you are okay with the default being pin 4. [15:10] <shiftplusone> I didn't know the 1w driver can identify devices. [15:11] <gordonDrogon> yea - every device has a 1-byte code. [15:11] <gordonDrogon> and that code is unique to each device, so you know what driver to load. [15:11] <shiftplusone> What stops two manufacturers of different devices from using the same code? [15:11] <gordonDrogon> dallas/maxim allocate the codes. [15:11] <gordonDrogon> however in a private environment, nothing. [15:11] <shiftplusone> I thought it was a free for all like I2C. [15:12] <gordonDrogon> there are only 30-40 different 1w devices in the world. it's not that popular. [15:12] <gordonDrogon> the 28 there is the device code - ds18b20. [15:13] <gordonDrogon> the 18s20 is 0x10. [15:15] <gordonDrogon> use a resistor. especially if using parasite power. [15:16] <shiftplusone> yeah, but one step at a time? [15:16] <jancoow> but for some reason..
[15:17] <gordonDrogon> oddly enough I have some 1w temps on my desktop right now - connected to arduino though. making a washer system for some friends and they need to keep the tank of cleaner at 65�C ..
[15:17] <gordonDrogon> yea, to wash brewery kegs. [15:18] <gordonDrogon> so we have a system with hot detergent, water, sanitiser, pumps, valves, plumbing - and an atmega (arduino) controlling it all. [15:21] <gordonDrogon> are you using parasite power or active power? [15:21] <jancoow> Why should I want that? [15:22] <gordonDrogon> the kernel driver quickly re-detects them IME. [15:22] <shiftplusone> sounds interesting. My parents have a hot tub that was struck by lightning and that fried the controller board. The replacement costs an insane amount of money, so I've been considering replacing it with an arduino or something. But I don't really know how it's all meant to work. Would need help from an electrician or someone who hooks up the things, I think. [15:23] <gordonDrogon> they're only good to 0.5�C, so hardly high precision devices. [15:23] <shiftplusone> jancoow: what bribes do you accept? [15:25] <gordonDrogon> I never found the ds20b18's to be that good anyway - right now I have 2 touching each other and they're 2�C different. [15:26] <jancoow> gordonDrogon: What do you suggest for better / acurater readings? [15:26] <shiftplusone> I switched out the 5V regulator. That didn't fix the problem and I didn't have time to look at it more. Should be easy to probe and find the short, I guess. [15:27] <jancoow> shiftplusone: well, thunder damage is nasty. [15:27] <shiftplusone> just worried that the atmel driving it is fried. [15:28] <gordonDrogon> you can also make the read a lot faster if you poke the right thing into the config. register, but I don't know if you can do that with the Linux owfs driver. [15:30] <jancoow> and vcgencmd : error=1 error_msg="Command not registered"
[15:32] <shiftplusone> is the module loaded? [15:35] <shiftplusone> does your pxe boot directory contain overlays/w1-gpio.dtbo ? [15:36] <shiftplusone> Why is the quality horrible? [15:39] <shiftplusone> There has to be something. Pulseaudio is fairly flexible with virtual devices, patching things together and so on. [15:39] <shiftplusone> It's just that only one person knows how to configure pulseaudio. [15:42] <shiftplusone> jancoow: any luck? [15:47] <Sonny_Jim> How was the configuration? Was it as much of a nightmare as I thought it might be? [15:52] <jancoow> shiftplusone: works. Thanks for the help man! [15:58] <fred1807> why raspbian has the / (root partition) on /etc/fstab and arch pi does not have an entry for / (root partition) on fstab ? [16:00] <jancoow> Shadonovitch: are you using pulse? [16:03] <Chillum> are you trying to play one two rpis at the same time? [16:06] <Shadonovitch> There should not be lag if every Pi plays the audio from the Icecast server ? [16:10] <Chillum> I have found otherwise. [16:10] <eckhard> 1. switching to the audio jack gives me unacceptable latency, is this because of the digital/analog conversion? is a proper solution to just grab an hdmi audio extractor? [16:12] <Shadonovitch> Chillum: when you did, did you hook your Pi's on your own house network ? [16:13] <GreeningGalaxy> I read a thing about adding an external antenna to the 0W, but it mentioned that it didn't actually improve the range much. anybody know what the wifi range of the unmodified 0W is like? [16:14] <GreeningGalaxy> CoJaBo: I have a couple bars of wavery picture on my monitor that slowly wipe upwards over time, but I've been blaming the HDMI to VGA adapter. [16:14] <Chillum> "Lets create a fast internal network and build a bunch of tools to use it!" [16:14] <CoJaBo> GreeningGalaxy: yeh, that sounds like analog interference..
[16:33] <GreeningGalaxy> hey, what's that tiny metal thing right next to the CPU on a ZeroW that looks like a crystal oscillator? [16:34] <GreeningGalaxy> is that for the wifi radio? [16:59] <gordonDrogon> GreeningGalaxy, the thing you're looking at is the xtal oscillator. [16:59] <GreeningGalaxy> redrabbit: that's another WLCSP, not sure what it's for. [16:59] <GreeningGalaxy> gordonDrogon: what's it for? [17:00] <gordonDrogon> making things go up and down. [17:00] <GreeningGalaxy> I mean specifically. There's not suddenly real-time support on this thing, is there? [17:00] <redrabbit> AEL19.2 5016 ?? [17:00] <gordonDrogon> it's the main clock to the whole system - all clocks will be derived off that via dividers, pll's, etc. [17:00] <redrabbit> that thing ? [17:01] <gordonDrogon> oscillator. to generate clocked signals. not a time of day clock. [17:01] <gordonDrogon> it's fairly standard to use a little crystal. [17:02] <gordonDrogon> doesn't mean it's accurate, just very very common. [17:03] <gordonDrogon> as Pi technology progressed, the designed realised that they could use some (more?) of the internal clock generators to do more stuff - e.g. to send a clock signal to the usb hub/ethernet chip and so on - reduces the overall chip and placement count. [17:03] <gordonDrogon> and ultimately makes them cheaper to make, but more importantly less chips is generally more reliable. [17:05] <gordonDrogon> the v1 and the v3 is more striking - same board space, but so much more on for the same cost. [17:06] <gordonDrogon> redrabbit, yes, 19.2Hmz is the main clock frequency as far as I understand. [17:06] <gordonDrogon> its one of the inputs you can choose for various clock dividers - e.g. to feed the PWM. [17:11] <gordonDrogon> the 25 can be synthesized inside the SoC. [17:23] <gordonDrogon> there are no publicly available schematics for them. [17:23] <gordonDrogon> just bits of the PSU and gpio/audio stuff. [17:33] <gordonDrogon> less relevant to a modern Pi though. [17:34] <GreeningGalaxy> I don't think I can, as many of the tiniest components don't have identifiers printed on them. [17:35] <hmoney> are there better schematics for the cm3? [17:37] <GreeningGalaxy> I don't really need a proper map, it'd just be nice to have somewhere to go to get an answer to "what the heck is Q23"
[17:37] <GreeningGalaxy> if they do, it's on the bottom. [17:38] <GreeningGalaxy> or truly microscopic. [17:38] <GreeningGalaxy> My eyes are pretty decent but the surfaces of the caps and resistors just look featureless, no obvious markings. [17:41] <gordonDrogon> maybe you'll just have to accept that you'll never truly know. [17:42] <shiftplusone> Hm? What do you need to know? [17:50] <leftyfb> mfa298: remember me complaining about zipcar having 314 pi's on-hand to give out for their contest? [18:23] <gordonDrogon> you won 314 Pi's? [18:55] <oq> ali1234: how durable is it? [18:56] <oq> like if you pulled it out of a usb port at an angle what would give first, the solder on the usb port or the nylon screws? [19:04] <gordonDrogon> I've seen much more flimsy usb storage dongles. [19:07] <gordonDrogon> ali1234, which country are you shipping from? [19:25] <gordonDrogon> is this some specialise embedded environment you're creating? [19:26] <Simonious> I suppose, yes. [19:44] <Simonious> anyone ever used f2fs? [19:45] <Simonious> I'm filling up many gigs over months, a RAMdisk seems like the wrong solution. [19:45] <gordonDrogon> indeed, but you're not very forthcoming on your application. [19:48] <gordonDrogon> anything really - so far I gather it's an embdded sort of thing, but storing gigs/month ...ok, big data logger. [19:49] <gordonDrogon> I'd suggest there are more things to wory about than the actual fileystem. Just do an fsync() after each buffered write. [19:50] <Simonious> what is fsync()? is that different than sync? [19:50] <gordonDrogon> fsync flushed out all bufferd data for the file and returns when it's all on disk. [19:51] <Simonious> is that something not on pi by default? [19:51] <gordonDrogon> it's a standard system call on all Linuxes. [19:51] <Simonious> gordonDrogon: how does one call it from the command line? [19:51] <gordonDrogon> er, you don't. it's designed for programs. [19:53] <GreeningGalaxy> oq: a card that works in a 1.3 does absolutely nothing in my W. No LED, no serial, no nothing. [19:55] <GreeningGalaxy> oq: not sure I can RMA it anyway since I've already soldered a header to it. [19:58] <oq> have they bothered updating the image on the website since it launched? [20:00] <GreeningGalaxy> okay, I need that adapter. [20:06] * BurtyB likes the idea of something not held together by hot glue/etc. [20:09] <BurtyB> GreeningGalaxy, how new is your image? [20:11] <BurtyB> GreeningGalaxy, have you done a "sudo apt-get update&&sudo apt-get dist-upgrade" recently? [20:11] <ali1234> have you ever used rpi-update? [20:23] <Simonious> is overlayroot available on raspbian? [20:24] <ali1234> what is overlayroot? [20:24] <Simonious> perhaps a better question is: How do I determine if overlayroot is available on raspian? [20:24] <GreeningGalaxy> NineChickens: ##electronics is probably more what you're after? [20:25] <Simonious> NineChickens: no one in an #arduino room? [20:25] <NineChickens> there's a #arduino? [20:27] <Simonious> ali1234: what does that look like? [20:28] <Simonious> ali1234: why do you do this? [20:28] <Simonious> is that a setup guide? [20:31] <Simonious> also I went with F2FS for the moment, I'm a little sad though, because it doesn't have the bit rot protection that nilfs2 does. [20:34] <dbucklin> Hi. I'm looking for help standing up RaspBSD on a Pi 3. It doesn't seem to be booting up. [20:34] <Simonious> ali1234: get me a write up and I'll give it a look and probably a try. [20:36] <ali1234> what are you trying to do? [20:39] <NineChickens> How would you set that up then? [20:42] <NineChickens> The Pi natively supports Bluetooth, right? [20:45] <Simonious> got over 20 arduino nanos..
[20:56] <GreeningGalaxy> Okay, the latest Lite image is just giving me a rainbow screen. is it toast? [20:56] <axion> anyone hear use pihole? How is this better than a simple sh/curl/sed/dnsmasq script? [20:57] <Simonious> GreeningGalaxy: probably not if it got that far. [20:58] <axion> Just got my pimail and debating on a purpose. I havent had a pi in quite a few years. [20:59] <GreeningGalaxy> Simonious: so what gives then? the image works fine on every pi I've tried except my 0 W.
[20:59] <axion> I'm a programmer so not really interested in any handsy hardware projects. I'm a game developer. I've had retroarch on a highend machine for years and it doesnt get much use heh. [21:02] <Simonious> GreeningGalaxy: I wish I knew. I haven't got my hands on a w yet. [21:11] <GreeningGalaxy> I've already tried three OSes on five cards, including up-to-date Raspbian. The results are consistently the same, e.g. works absolutely fine on every pi except the 0W. [21:15] <ghostboarder> hey guys, having some fun here, i have set up a rpi3 torrent box, with ddns and torrent client working great. I also set up vpn, and im wondering, how does ddns work with vpn? [21:15] <ghostboarder> will clients connecting via hostname get the public ip address of the server, or will dns refresh and show the vpn address? [21:25] <GreeningGalaxy> dd says it's getting like 80 MB/s write. This is a UHS-1 card. How is that possible? [21:29] <GreeningGalaxy> My friend has two Zero Ws, and I tried to get them to boot Void and ran into the same (e.g. bricklike) behavior as I am now. I guess it's possible it's not broken, but I'm sure surprised and stumped. [21:31] <GreeningGalaxy> oh, here's some progress. Reimaged yet another card (this time fresh out of the package) and instead of a rainbow screen, now I get a kernel panic. "Failed to get irq for DMA ch"
[21:34] <GreeningGalaxy> interesting, my 0 1.3 is also kernel panicking. [21:37] <ShorTie> what is your dd line ?? [21:41] <Habbie> on what kind of machine? [21:41] <ShorTie> on a laptop or the pi ?? [21:42] <GreeningGalaxy> I've never had problems with this card reader, but I sure have with USB ones. [21:48] <GreeningGalaxy> look, I've flashed probably 20 cards on this machine before. I have about six different RPis that I'm using for research, and I've helped my classmates fix theirs numerous times too. This is pretty much routine for me at this point. [21:49] <GreeningGalaxy> I still think the fact that it's not working has to be either something to do with the Pi Zero W, or something wrong with this specific one. [21:50] <GreeningGalaxy> although... huh. the card I flashed using the USB reader actually appears to be working. [21:50] <ShorTie> what class is that sdcard ?? [21:51] <GreeningGalaxy> I'm gonna try imaging another with the USB reader to see if it works, then try again with the internal card reader. [21:53] <GreeningGalaxy> once again, this is not the first class-10 card I have tried to write with this internal card reader. It is probably close to the 50th, and I have never once encountered problems this significant before. [21:58] <NineChickens> Do servos need the PWM GPIO points? [22:05] <NineChickens> also is most electronics mostly luck? [22:05] <GreeningGalaxy> NineChickens: the PWM output (BCM pin 18) will give you the most stable PWM, but all the other GPIOs can be made to do software PWM at the expense of less stable frequency. [22:06] <GreeningGalaxy> the pigpiod Python library will let you use the Pi's DMA controller for highly stable PWM on all the GPIOs, but it only supports a few discrete frequency and duty cycle settings. [22:12] <GreeningGalaxy> wait, 12 and 13 are PWM too? [22:13] <ghostboarder> guys, anyone know where the heck the .conf file is for openvpn on raspbian? [22:14] <GreeningGalaxy> NineChickens: hmm, 12 and 18 are both listed as PWM0. is PWM on one mutually exclusive with the other? [22:34] <gordonDrogon> you can use wiringPi for servos, but ONLY on the 2 x hardware PWM pins. [22:35] <gordonDrogon> the software PWM in wiringPi is not suitable for driving servos - it's simple motors & lights only. [22:47] <NineChickens> what are you doing with it? [22:48] <ghostboarder> guys, anyone know where the heck the .conf file is for openvpn on raspbian? [22:49] <plum> usually it's not created by default i thought? [22:49] <ArtesMagae> I have no big plans yet! Probably retropi for the girlfriend. For me, I would like to try setting it up to run some programs all the time. [22:50] <ArtesMagae> Like running a program to help a chess computer (stockfish) learn. [23:04] <plum> ArtesMagae: can you tell me how to do that?